I’m not going to lie to you…this war is not going well for the Federation. Every day, the Klingons gain ground, and every day, we fall a little further back. Well, not today. Today, we stand, together, as Starfleet. Today, we prove that our ideals can withstand a hostile invasion force. I’m honored to serve with each and every one of you. Go out there and make me proud. You were just a cadet, stepping out into the cosmos for the first time, when the Klingon War broke out. Now it’s come home. In “Downfall,” the second episode of Age of Discovery, you’ll find yourself standing in defense of Starbase One, in what could be her final battle. Enemies, including Ju’la herself, are going to attempt to take this last bastion of defense for themselves. Only you can stop them. Downfall is the second episode available to Discovery-era Captains after completing the tutorial. 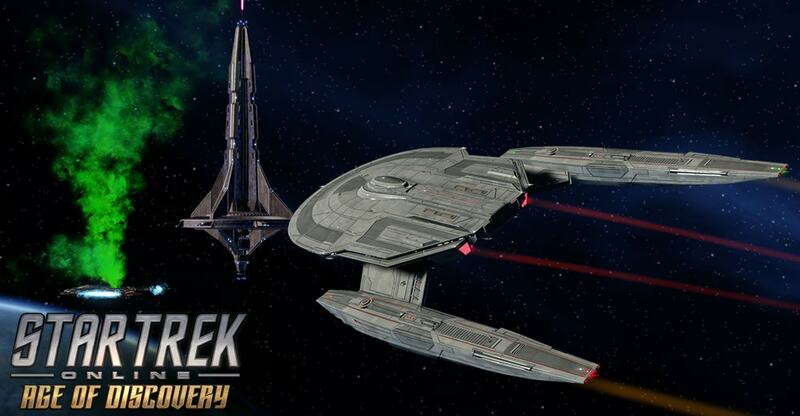 It will also be available to 2409 and TOS-era Captains as a historical simulation, in the mission journal after Victory is Life.